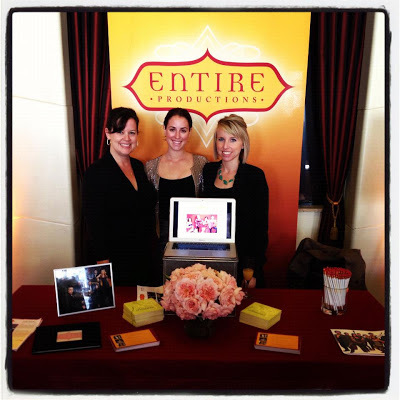 A City Club Affaire | Entire Productions, Inc.
floors full of the City Club's preferred vendors. We had a great time visiting with couples and educating them as to what we can provide for their big day! Most of them hadn’t begun to think about music or lighting needs, so we were happy to provide suggestions and options that they have. String quartet? Harpist? Cover band? Karaoke machine for your mother-in-law’s musical debut? From classical to crazy, we have it covered. for hosting us in their gorgeous event venue!